A cupful of cuteness and a spoonful of surprise make Num Noms! 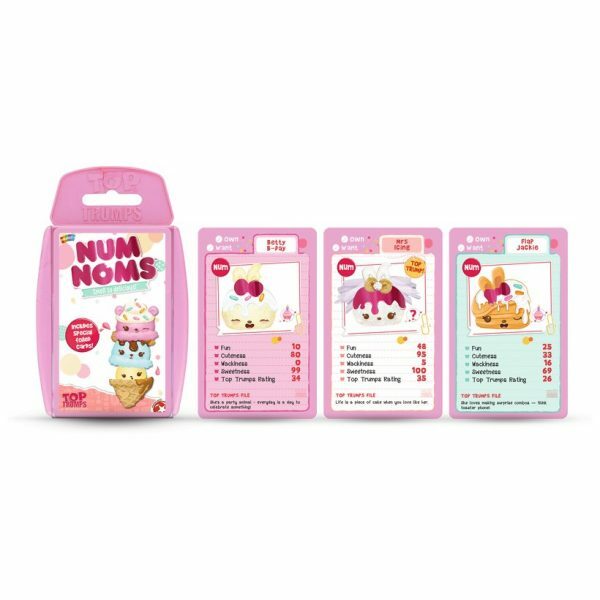 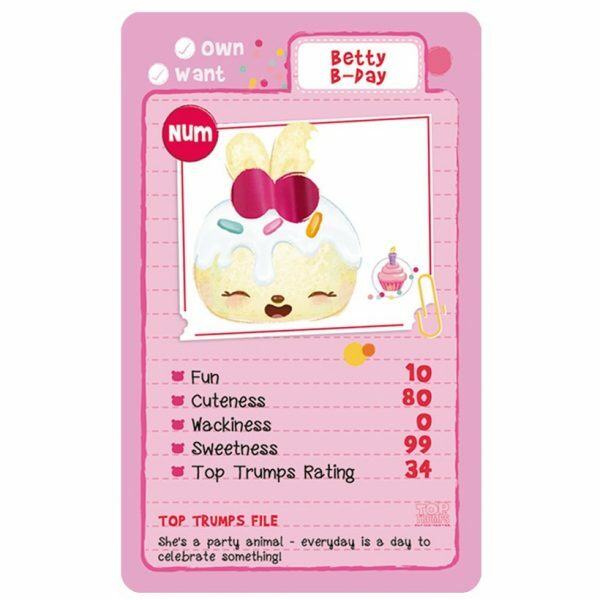 Play Num Noms Top Trumps with your friends and create your own delicious recipe for mischief! 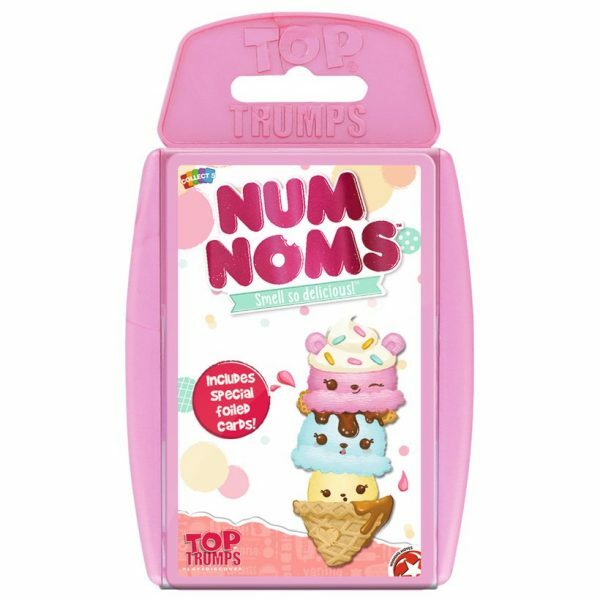 Bring your favourite Nums and Noms together and see who is the sweetest ingredient and who gets the all-round Top Trumps rating. 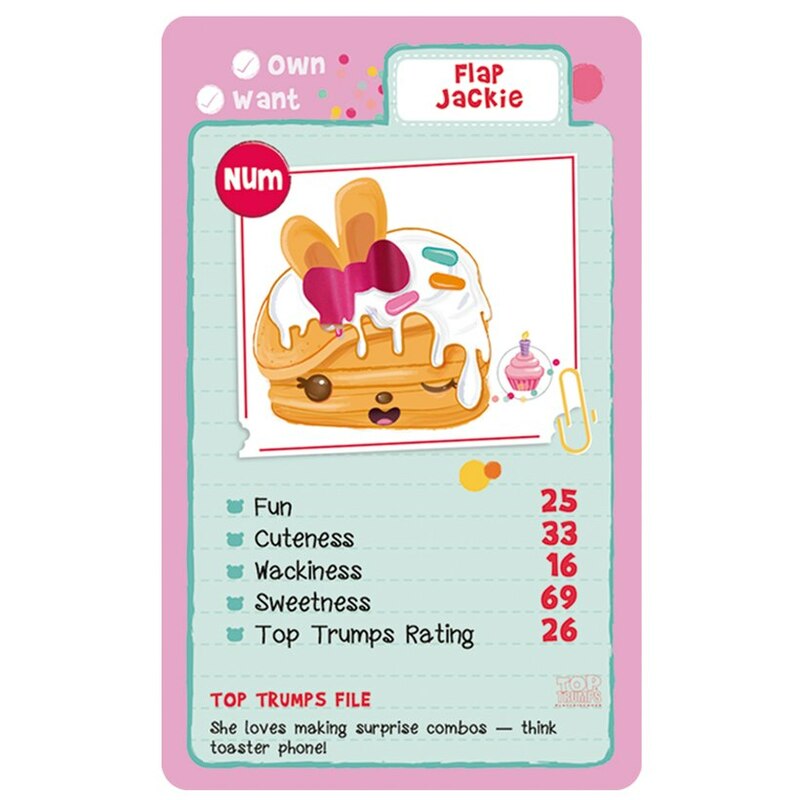 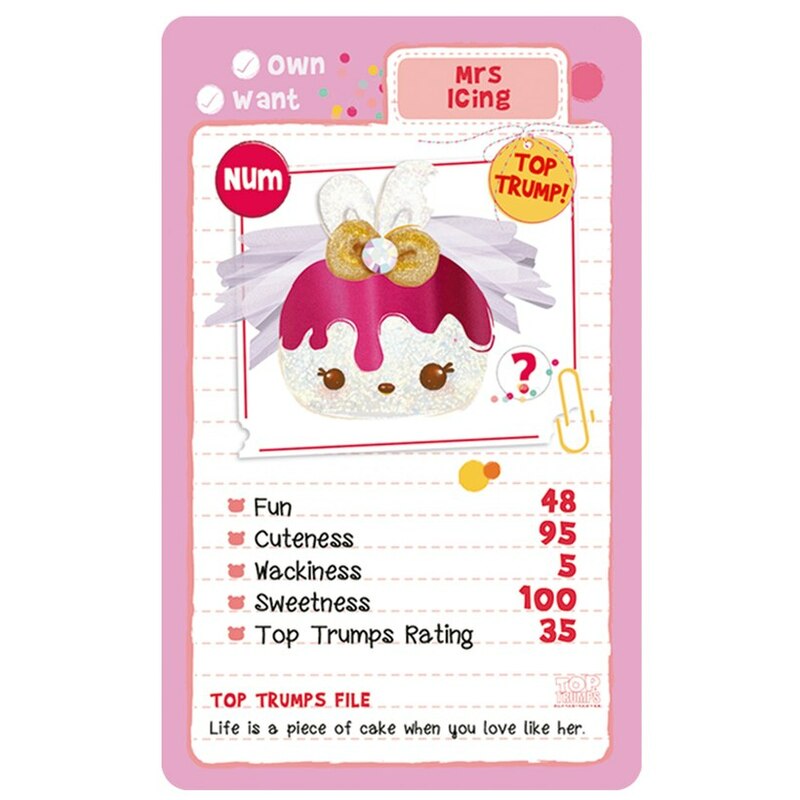 This Num Noms Top Trumps pack is full of surprises! 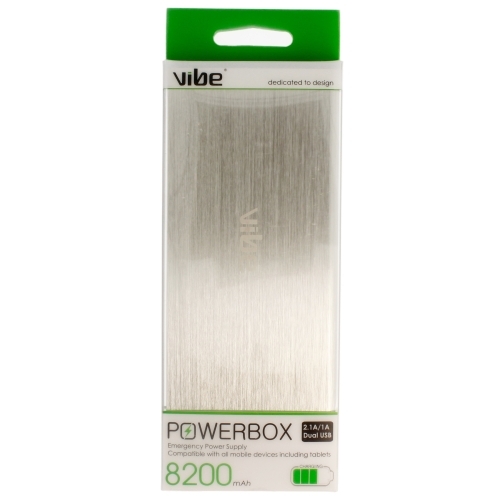 You can even find exclusive metallic cards inside!